CTA’s web2.0 training programme has sparked enormous interest across ACP countries. Organisations and individuals have shown themselves hungry to learn about social tools and platforms which can support their collaborative work, and how social media can be adapted to their particular contexts and needs. But which groups are the most enthusiastic adopters of web2.0 tools, and what impact does that adoption have, in terms of personal development, institutional changes, and new opportunities for beneficiaries in the context of development? Up to 200 people from Africa are being recruited to participate in the first Annual Africa Youth Assembly. The goal is to ensure that at least two young people from every African country are represented at this event, all with direct experience in youth-led development, so their valuable perspectives and realities provide a new paradigm for Africa’s development. 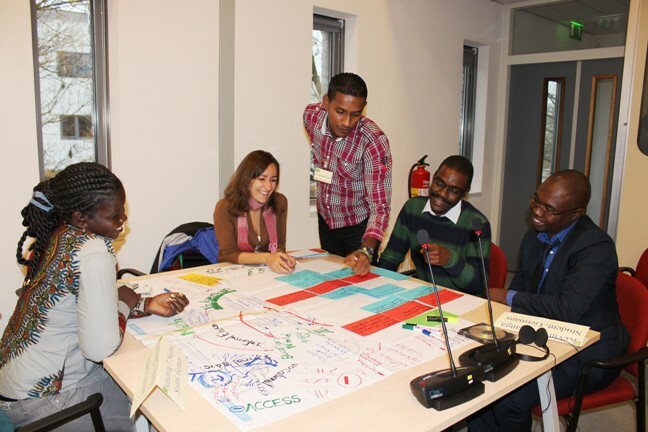 About 25 young professionals, youth champions from ACP countries and partners from international organizations working on Youth in Agriculture and Rural Development were brought together by the CTA from 14th to 16th November 2012 in Wageningen, The Netherlands, to participate in its Strategic Youth Stakeholder Workshop. The first part of the workshop consisted of different panels, whereby the objective was to learn from the partners. To open the day, CTA presented key elements of its 2011-2015 Strategic Plan.